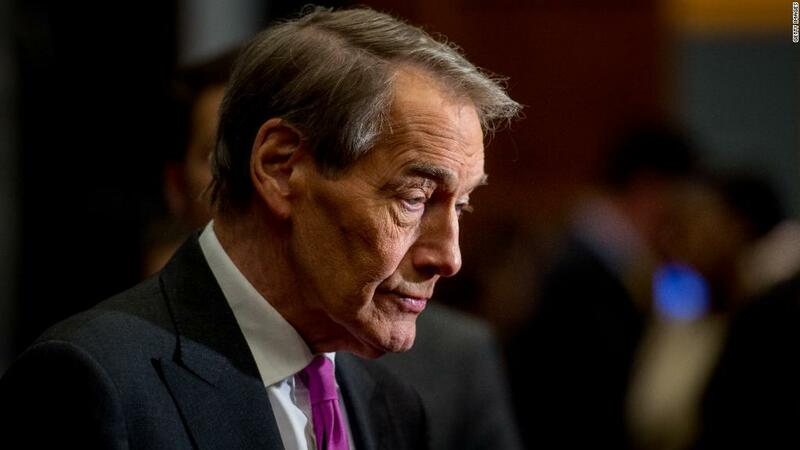 One of the women who accused former CBS News host Charlie Rose of sexual harassment believes he can be redeemed — but he has to put in the work. Kyle Godfrey-Ryan accused Rose of berating her and making sexually suggestive comments while working as his assistant in the mid-2000s. During her first televised interview about her experience Sunday, Godfrey-Ryan said Rose might be too concerned with making a comeback. She was responding to a question about a recent Page Six report that suggested Rose is looking to host a "#MeToo atonement series," in which he would interview other men accused of misconduct. "He hasn't been put in timeout for coloring on the couch," Godfrey-Ryan told CNN's Brian Stelter on "Reliable Sources." "I think that he is in a position right now where he has an opportunity to do a lot of work. He has time. He has privilege. He has resources," she said. "Instead of using that time to work on himself and find out why he'd been displaying this behavior this entire time, he's been trying to figure out how he can come back." If he does put in the work, Godfrey-Ryan said she thinks "America would welcome him." She was one of eight women quoted in a Washington Post story published last November that detailed accusations of lewd comments and inappropriate touching by Rose. Rose was fired from his roles at CBS News, PBS and Bloomberg shortly after the story published. More allegations spanning decades have surfaced since. Rose and CBS News are also the targets of a sexual harassment and discrimination lawsuit filed on Friday. Rose's attorney, Bob Bodian, told CNN in a statement that the claims in the lawsuit were "without merit." A CBS spokesperson also said that it would "vigorously defend" against the allegations pertaining to its network and an executive producer, Ryan Kadro, who was named in the suit. Godfrey-Ryan recently co-founded Press Forward, an initiative led by current and former journalists that's aimed at changing newsroom culture to address harassment issues. And in December, she wrote an op-ed for CNN that called the public to avoid villainizing Rose and other men sidelined by the #MeToo movement. She wrote about how pervasive sexual harassment is and said that in order to "repair this issue, we need to address the root cause and not oversimplify it." On Sunday's show, she said she wanted the op-ed to highlight the importance of seeing people as "multifaceted." While she criticized Rose's behavior, she also offered nuance. "Charlie is brilliant and kind and talented, and he's also a predator and has some abusive qualities about himself. It's possible to be more than one thing," Godfrey-Ryan said. —CNN's Hadas Gold and Kelly Wallace contributed to this report.